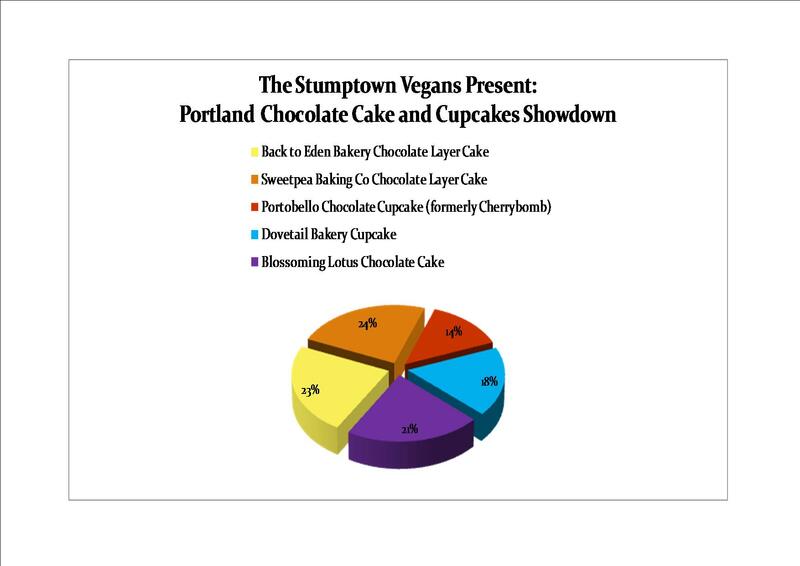 In connection to Stumptown Vegans Podcast Episode 16, available on Itunes. 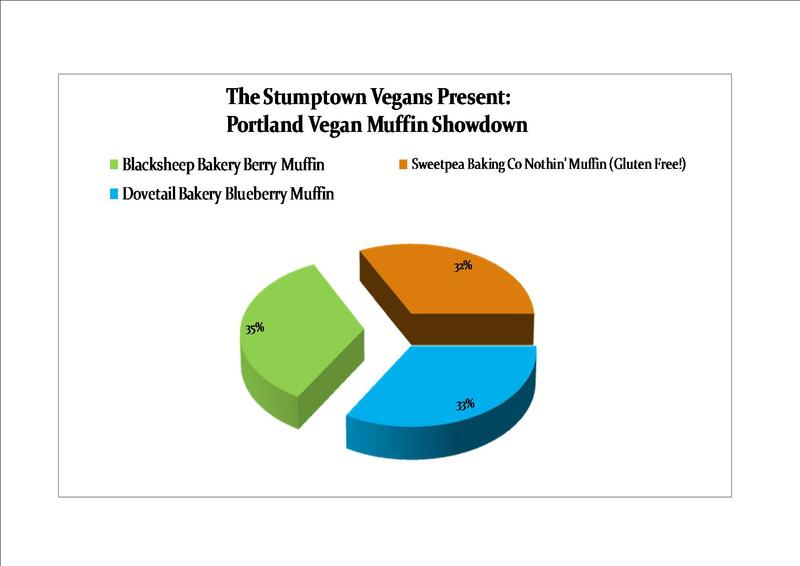 The Stumptown Vegans are joined by special guests Alex Wrekk, David Agranoff, Maeve and Crystal for a lengthy blind taste test and critical discussions of vegan muffins, scones, chocolate cake/cupcakes, gluten-free selections, and cheesecake from local vegan baked goods providers. For every item sampled, the participants assigned it a score on a 1-10 scale. The points were then tallied and entered into the charts below, percentage wise. Detailed, immediate feedback is on the podcast episode. 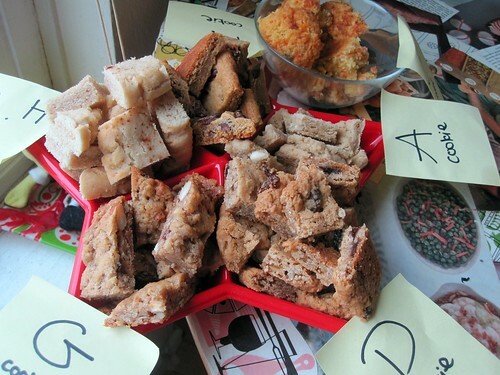 The individual scores for each bakery item were combined. If an individual did not provide a score, an average score of 5 was utilized. 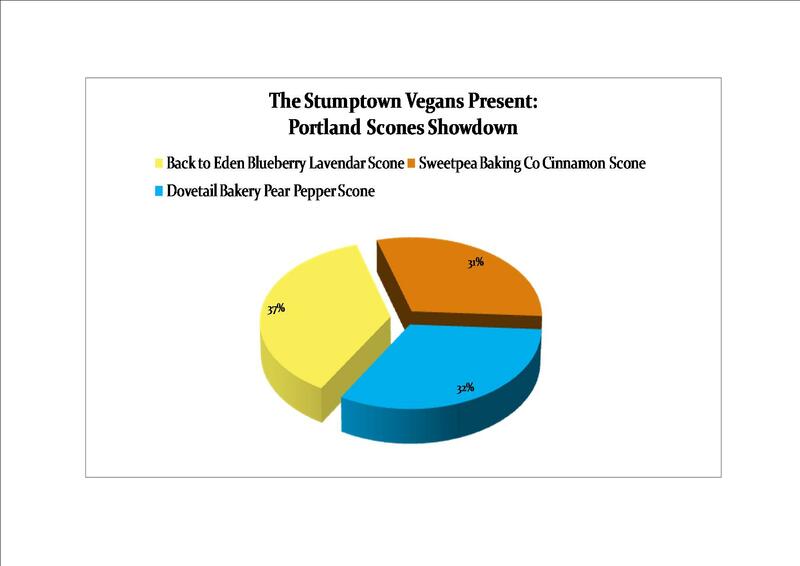 Enough with the semi-scientific talk, onto the our discussion group’s picks for Portland’s best vegan bakery items! 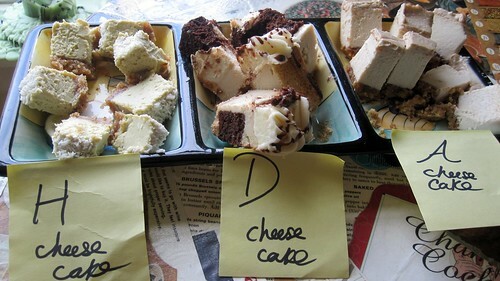 As you can see, and probably guessed – favorites were very divided, and each bakery rated highly! It was fascinating, there were rounds were someone would give a 1, and someone else would give a 10. There was another round where Costco was jokingly, and somehow, fondly, namedropped about 3-4 times. Please click on the graphs if you cannot see them clearly enough! Leading Chocolate Cake/Cupcake Score: Sweetpea Baking Co. If your favorite items were missing, or you have any suggestions, please let us know! This podcast contains a no-holds barred, colorful, opinionated conversation amongst delightfully spoiled Portlanders, who all eventually succumb, on air, to sugar overload. 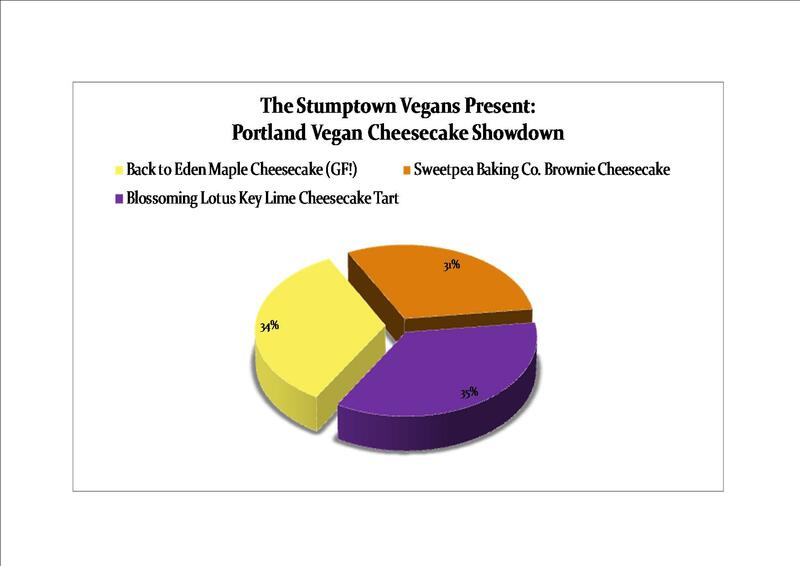 The showdown is based on items acquired on a specific weekend, and purchased with the Stumptown Vegans’ own money. We were not able to attain everything uniformly, and were missing items normally available from some bakeries. That’s just how the cookie crumbled. For example, there are chocolate cupcakes and cake reviewed in one category, and generally available scones missing from another. We did not place any special orders. 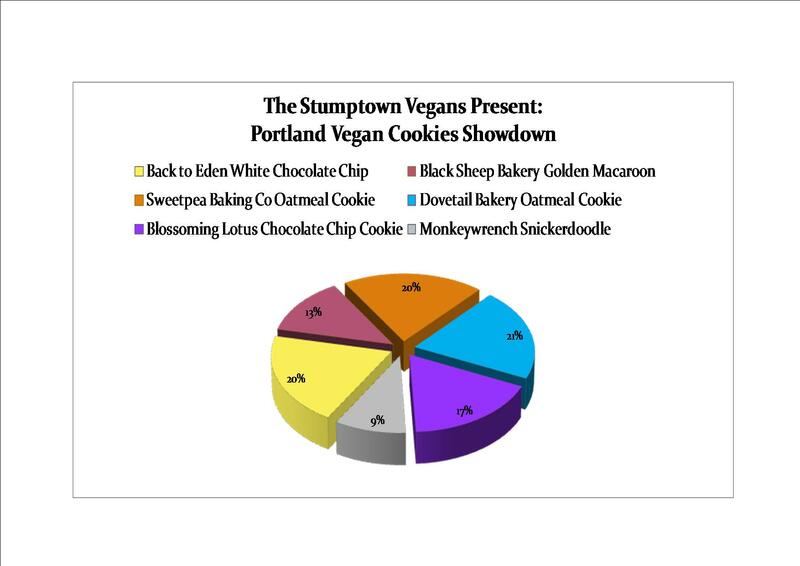 Even as Stumptown Vegans, we purchased independently and were not aware of where each item was from. 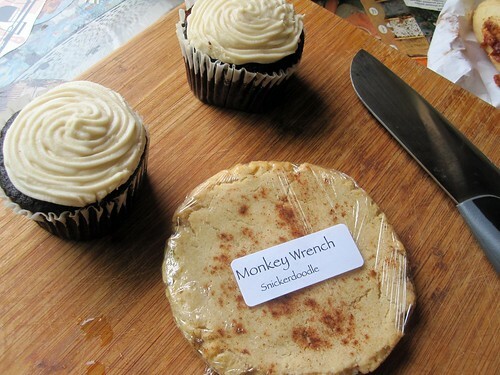 There are vegan-friendly bakeries missing. If they bake your favorite items, or you disagree with our results, please share! We do not know when items were baked or prepared. We aimed to have at least 3 selections for every category. 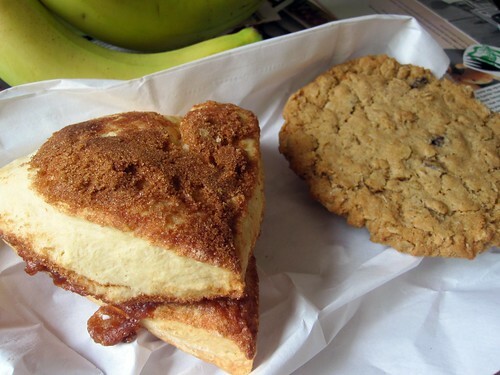 Vegan-friendly bakeries we realize we’re missing: Piece of Cake, Petunia’s Pastries, Whole Foods, Blue Gardenia, New Cascadia, and what else? Nope – Portobello is the same restaurant you know and love! I was surprised by a few of your results, especially Black Sheep getting the big win in muffins. I’ve always found their muffins to be incredibly dry. The category nearest and dearest to me is scones. I’ve had all the scones each bakery has to offer. Something that wouldn’t come up in a one-time sampling but that a regular scone eater would encounter is consistency. As much as 35% of the time, the scones from Sweetpea and Back to Eden are undercooked and still doughy in the middle. Possibly because they both make them so large. The only time I’m disappointed by a Dovetail scone is when I get a sad, old one from Whole Foods because I don’t have cash. That’s my little contribution to your awesome scientific study and review. 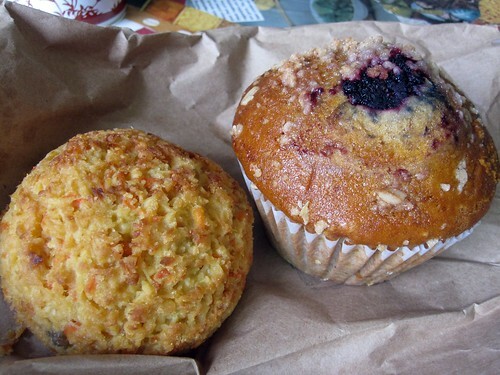 but Dovetail’s muffins & scones keep me alive! Webly will be there in a few weeks and hopes to come back with a review of another one of your fine restaurants. Whoops. I just read your profile and see that you don’t eat food with yeast. Maybe my paean to the fabulous pecan sticky buns at Dovetail will influence those who do. Sorry; I didn’t mean to be inappropriate. The absolute best vegan chocolate chip cookies in the world are the Laughing Planet Cafe’s oatmeal chocolate chip. Dovetail gets my vote. Everything is just incredible there. My favorites were always the scones…until I became gluten intolerant. I mourn the loss of my weekly fix. I have found a few items at Back to Eden that were quite good, but some were real duds (stale). 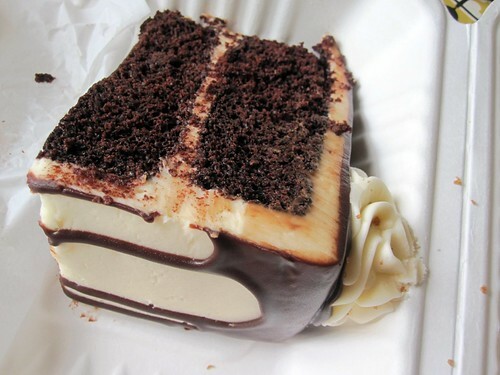 I’ve had cakes from Sweetpea but the last one we got was over-iced and had no flavor. 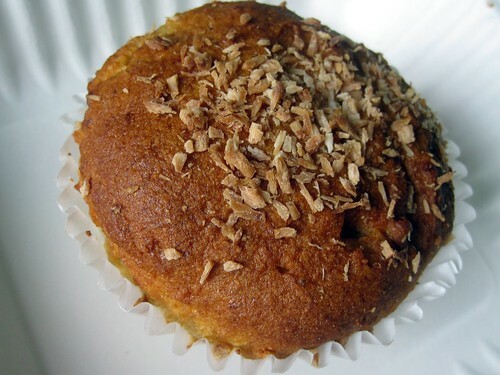 I always went to Black Sheep or Sweetpea for cakes before I discovered Dovetail but none of them compared after trying their range of offerings. Since I can’t do gluten any more, I just have to watch other people enjoy the great eats.